Ultrasound is energy in the form of sound waves. 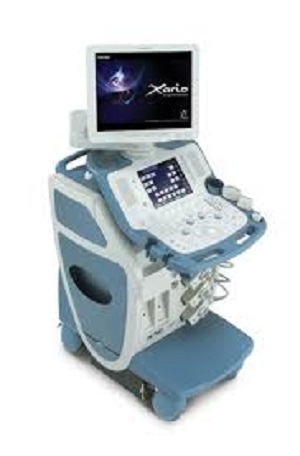 The most common type of ultrasound exams is called two-dimensional (2D) ultrasound. 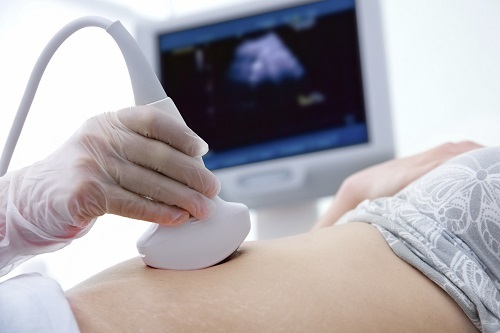 In this type of ultrasound, a transducer sends sound waves through the body. The sound waves hit tissues, body fluids, and bones. The waves then bounce back, like echoes. The transducer receives these echoes, which are converted into images of the internal organs and—during pregnancy—the fetus. Specialized ultrasound exams include Doppler ultrasound, three-dimensional and four-dimensional (3D and 4D) ultrasound and sonohysterography. In a 3D ultrasound exams, multiple 2D images are taken at various angles. The images then are assembled into a 3D image. A 4D image is similar to a 3D image, but it shows movement. A 3D or 4D ultrasound sometimes is done when a specific problem is suspected during pregnancy, such as a problem with the placenta or fetus.